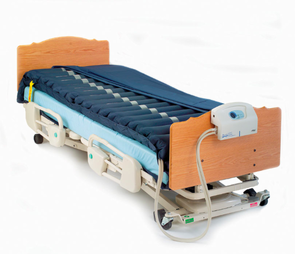 Alternating pressure overlays are designed for prevention and the treatment of pressure sores. Overlays (as the name suggests) fit over your existing mattress. 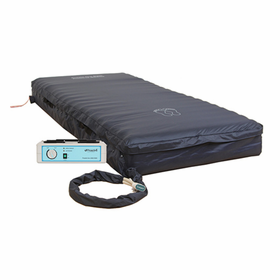 They are lightweight, portable, and cost significantly less than entire new mattresses. 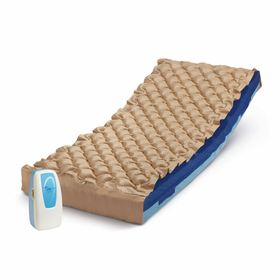 These alternating pressure overlays utilize air cells or bladders that inflate and deflate to relieve pressure on the body. 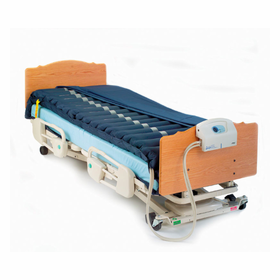 The nylon air cells are much more durable than standard (bubble) pressure pads making them a much better solution for long term care. Some models include low air loss technology, which uses steady airflow to reduce heat, moisture and friction on the skin. 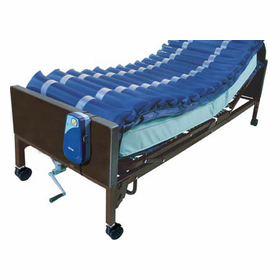 The pumps are whisper quiet and the mattress is adjustable by weight. 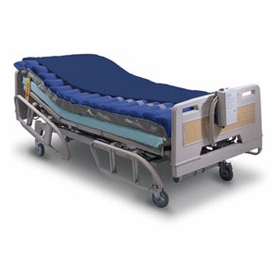 Many caretakers use overlays when beginning to treat pressure sores or to reduce painful pressure points for patients who are spending more time in bed.